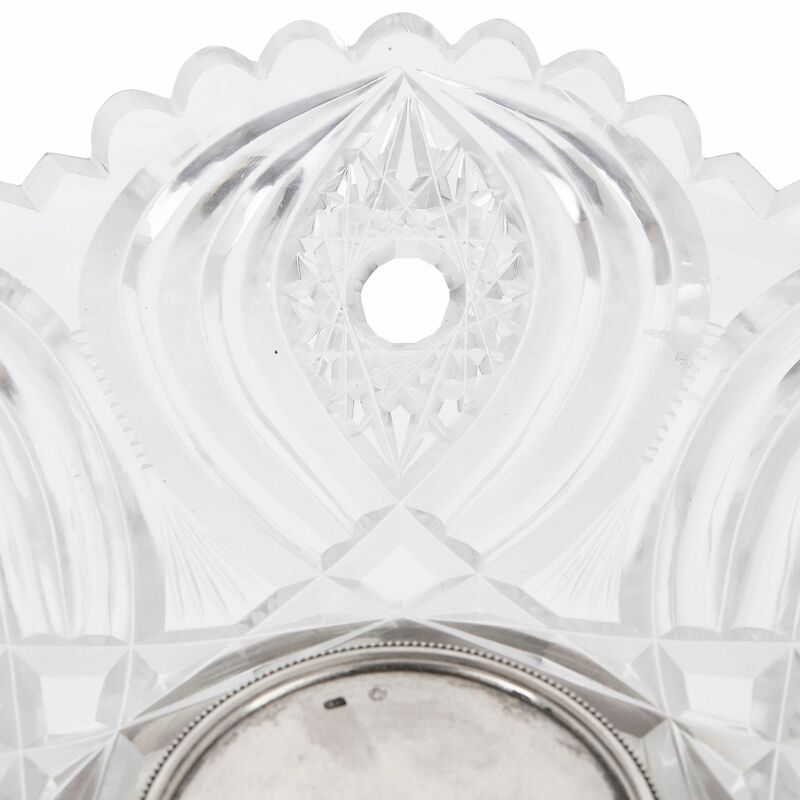 Crafted from cut glass and sterling silver, these Russian tazze will make elegant additions to a collection of fine tableware. 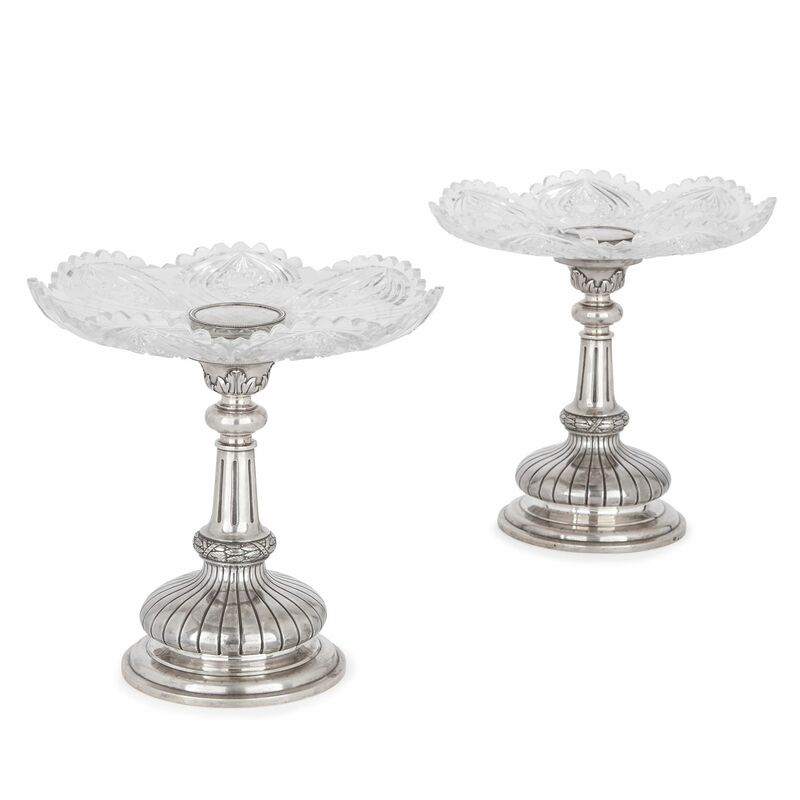 The tazze stand on silver stems, which are set on splayed feet. Their shaped stems feature bulbous fluted lower bodies, with foliage wreaths above. These are topped by fluted columns, which taper and develop into bulbous forms with foliate and beaded tops. 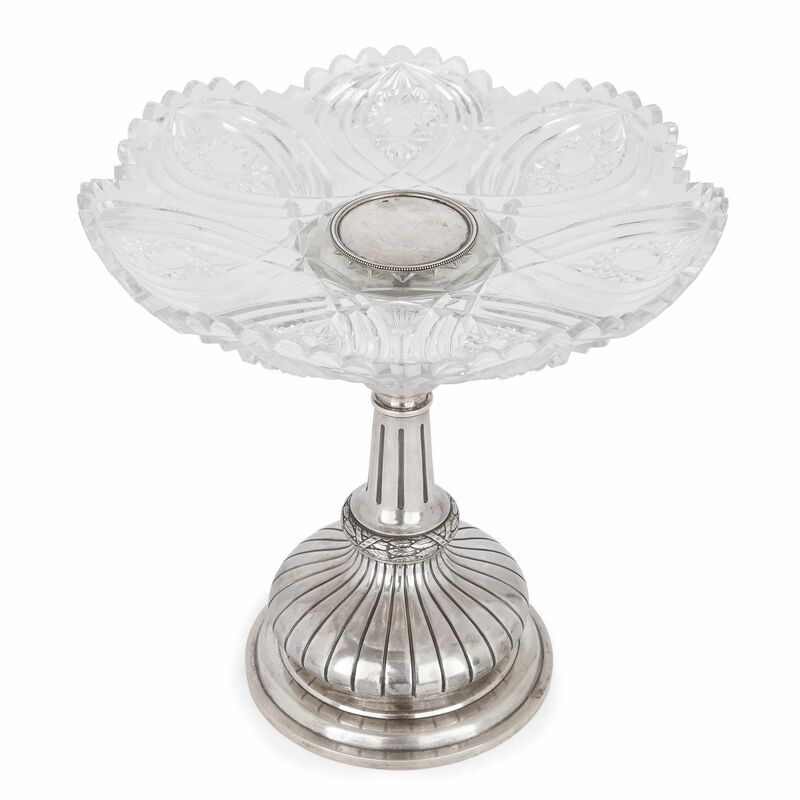 The silver stems support wide, petalled cut glass bowls. 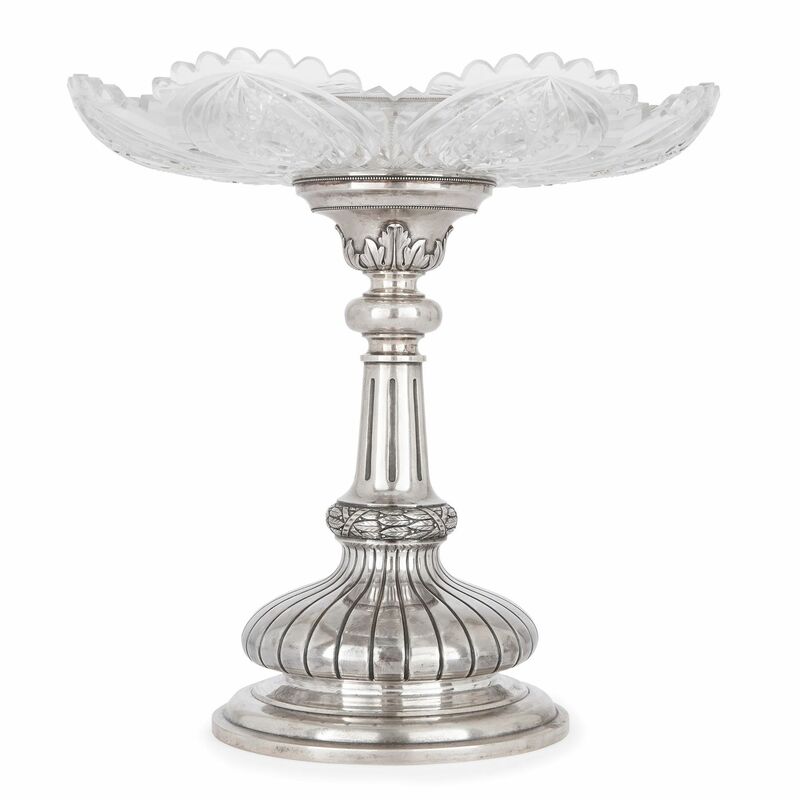 The bowls are finely decorated with geometric designs, petal-like fluting, and their edges are frilled. 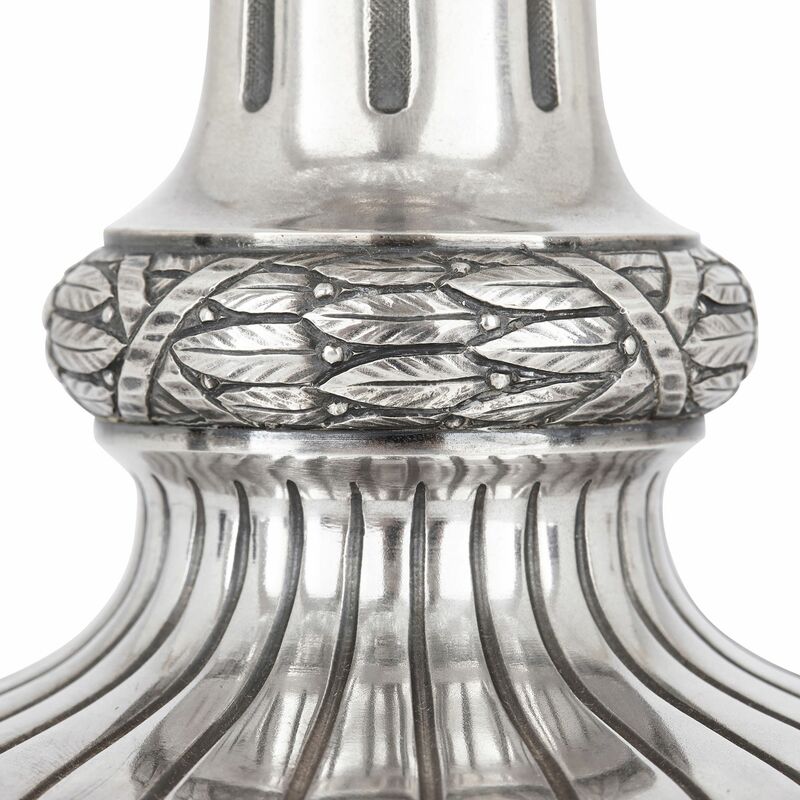 The centres of the bowls are silver and their edges are beaded. 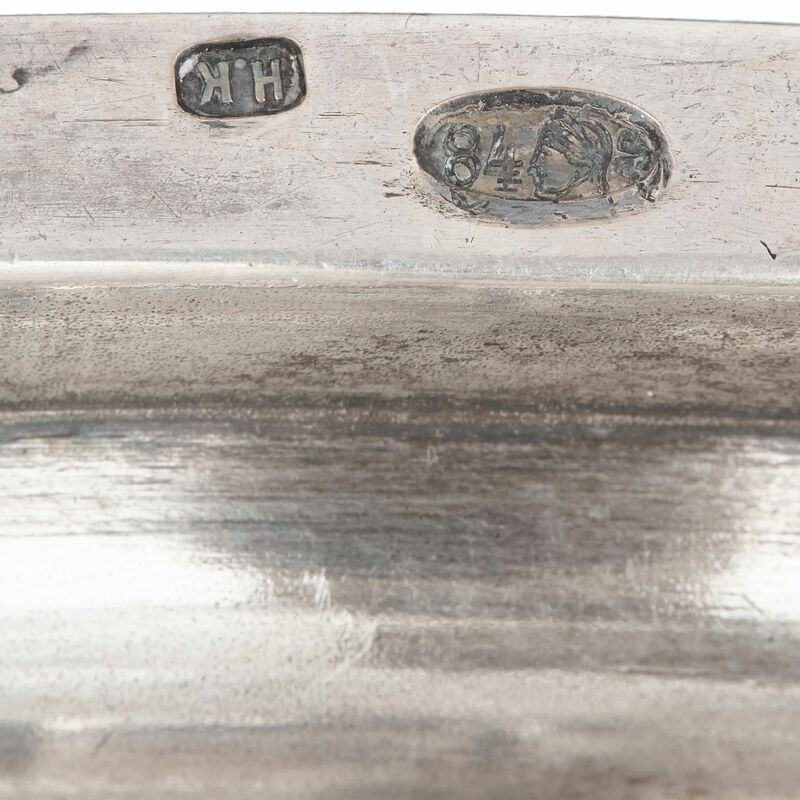 The stems are fully hallmarked, indicating that they are sterling silver and were produced in Russia between 1908-1917. 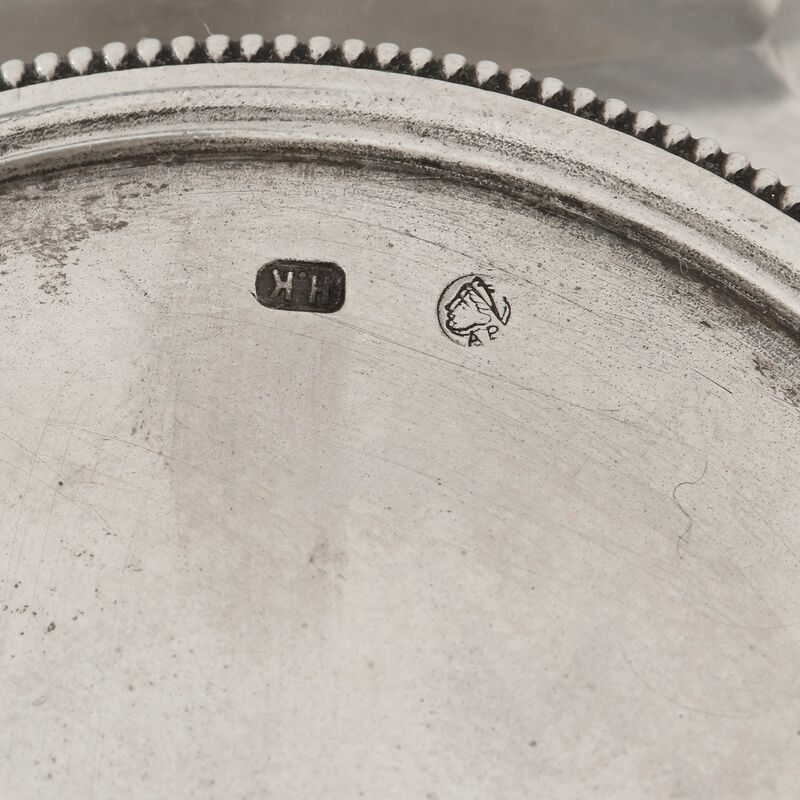 They also bear the maker’s mark, ‘H.K’.